Ryan Martin's Fireball Camaro is a familiar sight at Radial vs. The World races across the country. 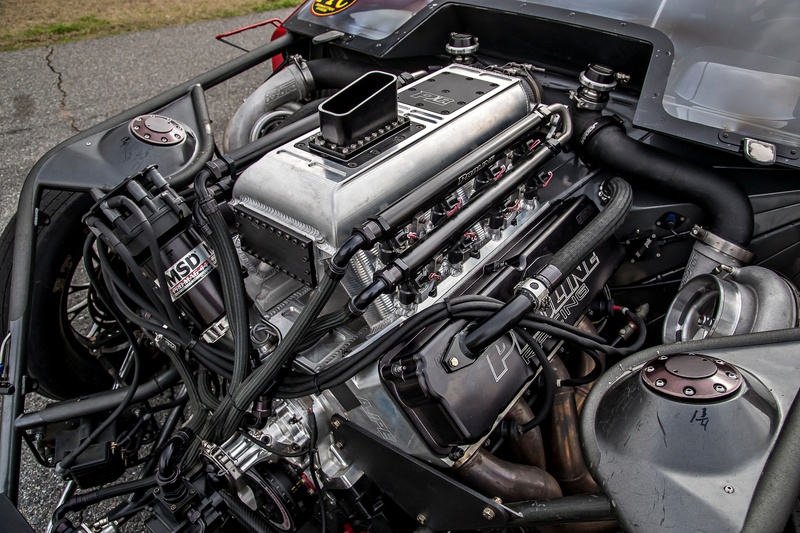 We chat with Martin about his 4,500-plus horsepower machine and his racing program. 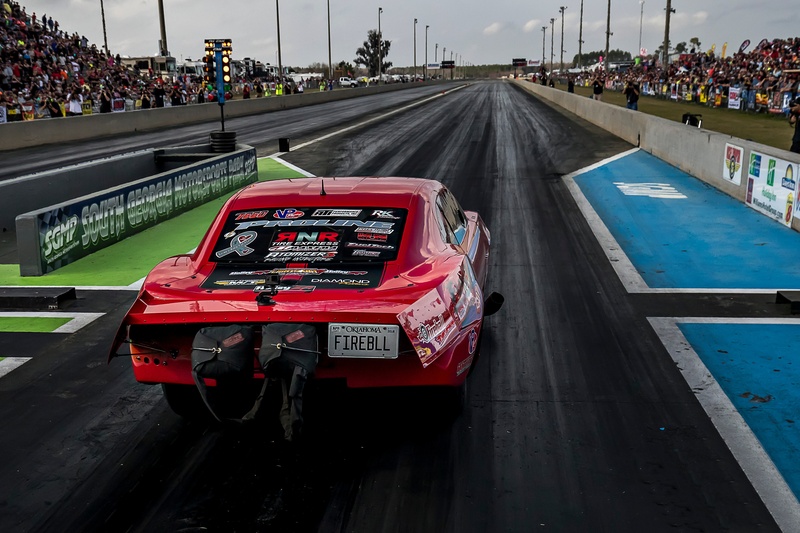 Martin says that a while back he and the other co-owners of Fireball Performance were looking for a new car to help promote the venture, and a Camaro seemed like a natural fit. “We initially wanted to get a sixth gen car, but finding one of those as a race car, especially at the time, was next to impossible – the production car had just come out and nobody had built a race car out of one yet. Although his day to day keeps him occupied, Martin’s still a racer above all else. We got a chance to catch up with him recently and talk shop about his career in motorsport, his cars, the recent Lights Out 9 event, and what the future holds from him and his team. It’s limited basically to the 315 tire,” Martin says of Radial Versus the World. “Everything from a Big Block Chevy to a Hemi to a crazy billet, 1000ci nitrous motor is fair game. Martin held on to the Mustang throughout the years, eventually prepping it to run in the X275 Radial class. After four years or so of campaigning the Mustang in the class, Martin transitioned over to a Camaro, which he now runs in Radial Versus the World. Martin’s fifth-gen Camaro is powered by a 572ci Alan Johnson 481-X block which was prepped by Pro Line Racing. The cylinder heads and valvetrain were also sourced from Alan Johnson, while a Hogan intake and Pro Line’s own turbo-spec camshaft round out the package. 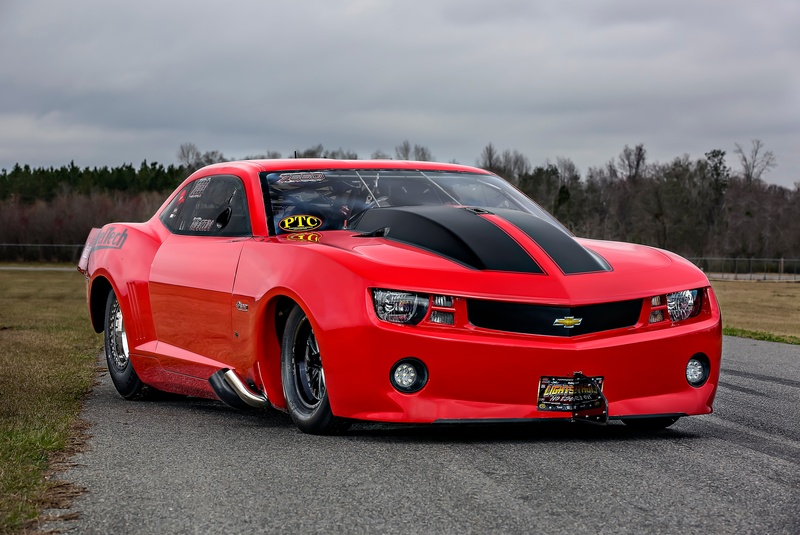 The Camaro sits on a four-link-style suspension system with a wishbone, and the power is sent to the 315mm tires through a fabricated 9-inch rear end that uses either 3.70 or 3.89 gears, depending on what kind of event Martin is running the car in. The Camaro’s big-block normally sports a pair of 102mm Precision turbos in Radial Versus the World trim, but a pair of 106mm units are bolted on for particular events. 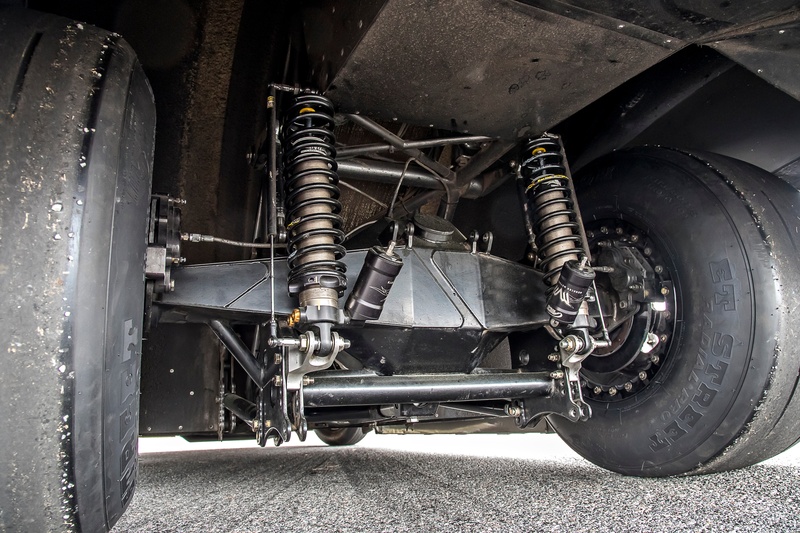 The grunt is sent to the rear wheels via a two-speed Mark Micke gearbox and a fabricated 9-inch rear end with either a 3.70 or 3.89 gear ratio, depending on the particular event they’re running it in. A four-link-style suspension helps put the power down. Martin says that while many racers he knows get amped up when they hop behind the wheel, it’s actually more of a moment of Zen for him before a run – he just calms down and focuses on the task at hand. 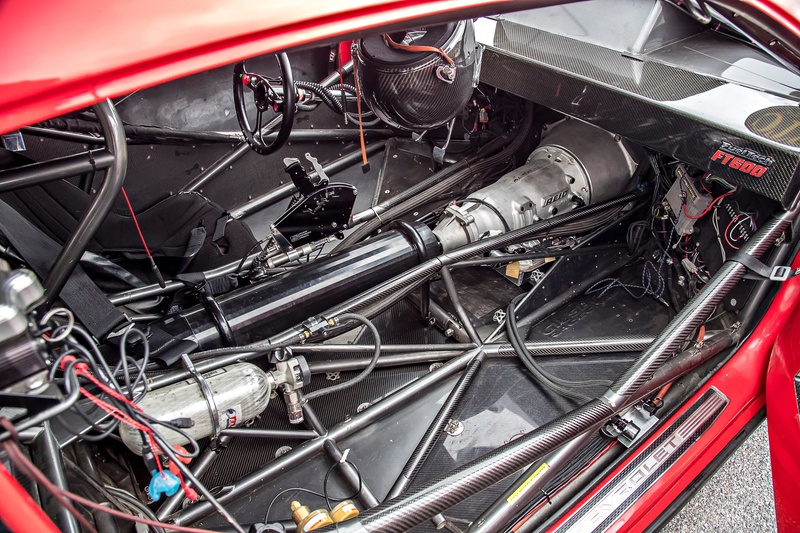 Power from the 572ci Alan Johnson BBC is sent to the rear wheels through a two-speed Mark Micke Turbo 400 gearbox. That trend would hold throughout Martin’s runs at Lights Out 9. “We qualified with a 3.91 at 201mph and improved with every run from there, running a 3.90, a 3.88 and a 3.85 against Steve Jackson in the quarter.” Though that 3.85 pass was Martin’s fastest run of the event, it wasn’t enough to edge out Jackson, who would post a 3.81 in that quarter final round. Powering the Camaro is a 572ci, Pro Line Racing-prepped, Alan Johnson 481-X mill. 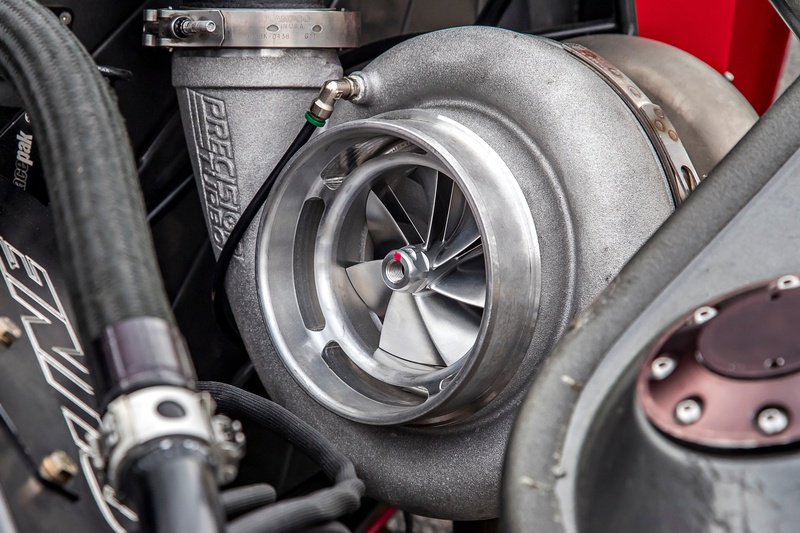 The heads and valvetrain also come from Alan Johnson Racing, while Pro Line’s own custom-spec camshaft is used to help fully exploit the Precision turbo setup Martin uses.